Jesus made everything. Jesus cares about everything. Jesus is at work restoring everything. We create forums where people help one another work out the teachings of Jesus and scripture in every aspect of life. As Denver Pres continues to grow, we will continue to include additional life-contexts most important to our community. See below for more info. On Sunday mornings, we offer classes in 6-week sessions. We all have limited, finite space in our homes which naturally fills up with our things. Even when it comes time to “spring clean,” why is it so difficult to face down the excess that fills up our homes? Denver Pres member Tana Padilla is a professional home manager and personal organizer who takes a therapeutic approach to helping people work through their connections to their things and to understand what they should keep and why. 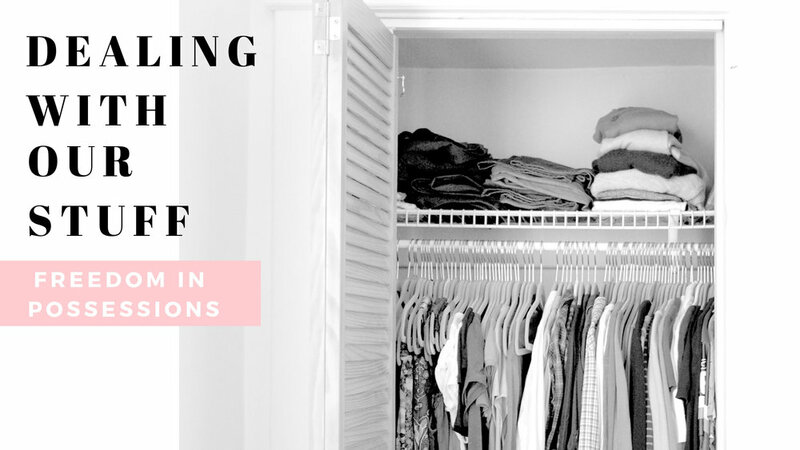 She will share her thoughts on how you can begin changing your relationship with your possessions, to ultimately work toward more freedom in your life. Speculative Fiction, sometimes called fantasy and science fiction, is often thought to be the more frivolous genres of storytelling. But their seemingly far-fetched characters and settings provide a great space for the imagination to wrestle with intense issues. Jason Walch will lead a discussion of speculative fiction and share his own experience and ‘best practices’ when enjoying stories of long, long ago in galaxies far, far away. Many Christian parents strongly desire for their children to follow Jesus now, and into adulthood. But knowing how to foster their relationship with God can sometimes be a confusing and intimidating prospect: How do we engage with the gospel on a daily basis with our kids? On top of that, we sense our own limitations and failings, which can be discouraging. Tally Flint drew wisdom from her own experience (and the experience of others) on how to view the privilege of nurturing your kids toward Jesus, as well as provided some practical ideas and resources for how to do this intentionally. With the mountains in reach and always in sight, outdoor recreation is nearly synonymous with Colorado lifestyle. LindsayHunt, an avid cyclist and skier, has spent time reflecting on the God-given desire to recreate and be active. Noticing the reasons why we recreate and the restoration it brings to our lives, will inform how we pursue it and integrate it with the rest of our many callings (work, relationships, family, worship, and more). Some of us at Denver Pres have had experiences in the past with church or ministry cultures that were unhealthy or oppressive. Many of these cultures were deeply affected by a lack of understanding of the good news of Jesus. Mark Miller and Christian Swan examine some of these experiences for us, helping us to see what makes a church culture healthy, what patterns are potentially unhealthy, and give guidance on how we can all journey on a path toward healing with those in our community who are hurting. Whether you've experienced trauma in your childhood or not (45% of us have) , we all have a tremendous opportunity to stop cycles of trauma and provide healing for both adults and kids. Christine Beck (RN, BSN) showed us how ACEs ("adverse childhood experiences" which are traumatic events) can have negative, lasting effects on physical and mental health far into adulthood. One part of growing in empathy and compassion for each other (in any circle we’re in) is to understand how each other’s childhoods affect our current lives. For those who have experienced more than one ACE, there is hope and a solution: stable, safe relationships. And we can all participate in the work of relationships. God made humans to not merely interact with creation, but to add to it. 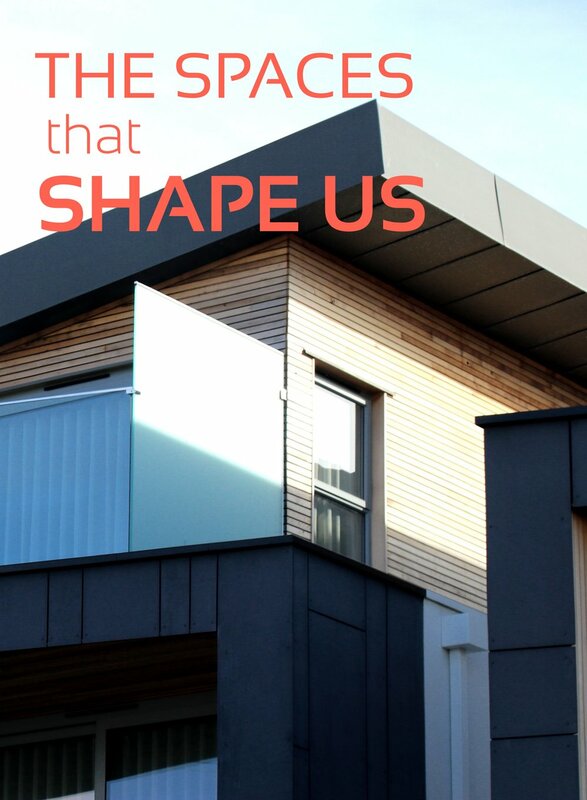 Architects dream and design the structures and spaces we inhabit, and when we pay attention to the built environment around us, we recognize how every space we interact with shapes us at a very deep level. Our culture often places beauty in an optional, “aesthetics” category rather than seeing it as a functional, necessary part of both our civic and our internal life. In this conversation, led by architect Will LoPatriello, we discussed how to become aware of the spaces we inhabit and how we can practice observing and interacting with the built environment around us. spouse, though a good desire, can create tremendous tension in a marriage! Shame has recently become a popular topic of conversation in our culture. But why do we talk about shame? What IS it exactly? Shame can be difficult to define. Distinguished from other emotions (like guilt, or embarrassment), shame is the belief that there is something fundamentally wrong with us, at a base identity level. 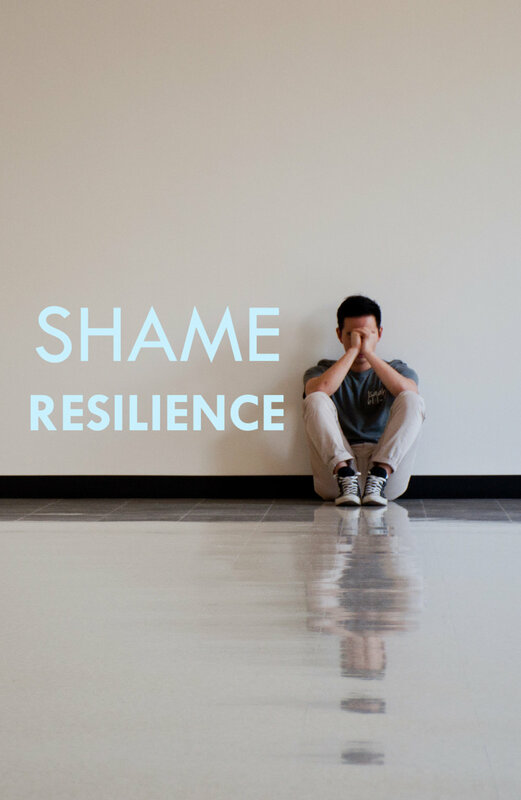 The experience of shame is universal to every human, by virtue of living life in a broken world, and can show up in every life context - friendship, vocation, marriage, work, parenting, sexuality. Shame scrambles the signals in our brain and body in a way that disrupts our thinking and feeling, and this disruption teaches us to isolate ourselves. A small, but stacked, panel of Denver Pres people in mental health professions (headed up by Nina Walch) guided us through this conversation, giving us vocabulary to process shame, and helping us maintain hope as we move forward on a path of growth and healing. Are the facts surrounding Jesus' life and death actually true? How can we know Jesus rose from the dead, as a real moment in history? It's certainly a wild claim to hinge our entire Christian faith on. This conversation will help us to solidify not only our own belief about the resurrection but also help us know how to communicate the reality of it to others. Led by Pastor Bill Connors. Screens, messaging, social media… the benefits of increasing technologies come with costs. Some costs (data plans) are apparent; other costs are not. We considered the wisdom we need and practical steps we can take to help our children grow wise in a technologically savvy world. From strategies for screen time and filtering, to coaching our older children on how to be engaged without being controlled by our devices. Jesus gave the Sacraments of Baptism and the Lord’s Supper as powerful gifts to his people, indispensable to Christian spirituality. Yet most Christians would struggle to articulate what Sacraments are, what they do, how they work, and why they are so important to our walk with Christ. This seminar will inform the mind, but more importantly deepen and enrich our celebration of these physical practices that Jesus gave to strengthen our spiritual life. Lead Pastor Bill Connors will guide this conversation about sacraments and spirituality. If you’ve been around Denver for more than a few years, you may have noticed that the city is rapidly changing. Have you ever wondered who and what created your neighborhood? Did you know that, for many residents, there is currently a housing crisis, as property costs have grown, while income has not? What does the Bible have to say about land, housing, and cities? Housing issues are inextricably related to education, race, and socioeconomics, and if we don’t understand the history of where we live, it’s difficult to love our neighbors well. This conversation on November 28, 2017 led by DPC member Meghen Brown provided education to participants about the racial history of Northeast Denver, as well as look at the people and events that have shaped Denver, particularly northeast Denver, over the past 50 years. The conversation explored how housing policy and market forces have shaped our community, including segregation, discrimination, and gentrification. She also critiqued the two opposite extremes of the “free market” approach and the “social justice” approach to housing, and present a new way of addressing problems: through a more nuanced, hopeful, gospel-informed grid. Meghan Brown is a Tax Credit Officer at Colorado Housing and Finance Authority (CHFA) who grew up in the area and has worked with various urban ministries, nonprofits, and local and state governments. Meghan will be co-presenting with her CHFA colleague Kim Martin, First Lady of Zion Temple Church, a NE Denver native, and active with the National Organization for African-Americans in Housing and Metro Denver Fair Housing Task Force. On November 7, 2017, DPC members Josh Messer (a physician) and Mark Miller (a counselor) led a fascinating conversation on the inter-play between the food we eat, our brain chemistry, and our faith in Jesus Christ. Of our 16 waking hours, we spend nearly 15% of our time centered around eating and food. We asked, "How does the food I eat relate to my spirituality and faith in God?" Our culture is incredibly fragmented and nobody likes it. We often find ourselves in echo chambers with people who agree with us, but it seems nearly impossible to overcome the current cultural divisions. On October 24, 2017 people gathered for a great conversation, led by Christie Thurstone, on the role that the media plays in this divisiveness. 50 years ago, there were considerably less options for media consumption, but in today's world we are able to consume media that suits our own sensibilities and ideologies. What does it mean for Christians to wisely consume media and faithfully follow Jesus, becoming truly more informed in our opinions and less tribal? Christie is Denver Pres member and nationally recognized journalism professional (former president of the American Society of Professional Journalists, and writer for Chicago Tribune and Denver Post). She now owns her own media company and thinks critically about these issues every day. No matter who you talk to, substance abuse is not something normally condoned or endorsed. For this event, we held a conversation with Chris Thurstone, a member of Denver Pres, who is a leading voice at the state, national, and international levels regarding substance abuse and a medical director of one of Colorado's largest youth substance-abuse-treatment clinics, as well as an associate professor of psychiatry at CU Denver. How should Christians approach occasional, recreational marijuana usage? What does science say about moderate recreational use? How should we think about the data that exists? How does marijuana impact our bodies and brains? At what level is it safe to use? Is it a safer alternative to alcohol?